On Thursday, October 11th the BSEACD Board of Directors voted unanimously to remand the Needmore Water contested case back to SOAH, requesting that SOAH make a recommendation on whether the Board should grant or deny the permit. 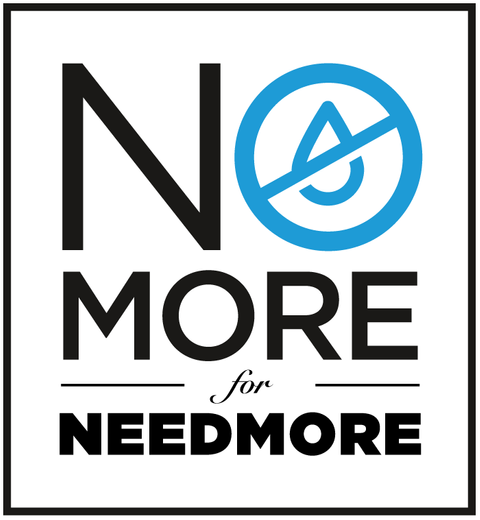 For background on the Needmore permit, please click here. This is a complicated administrative matter. 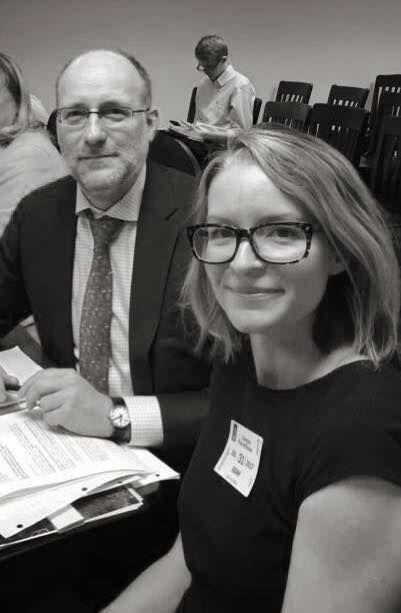 Please attend BSEACD's informational meeting on June 18th to learn more about Electro Purification's permit application for 2.5 MGD and staff's recommendation to the Board of Directors. The meeting will be held at the Wimberley Community Center at 6:00 PM on June 18th. On Tuesday night, concerned landowners in Wimberley and Driftwood flooded the sanctuary at Saint Stephen's Episcopal Church to attend TESPA's meeting about EP's groundwater production application at BSEACD and to learn about what options are available to landowners to protect their groundwater. Last July, EP submitted an application to BSEACD to pump 2.5 MGD a day of groundwater from the Trinity Aquifer. BSEACD predicts that pumping from EP's well field at this rate will cause over 300 feet of drawdown within one year from wells 2 miles away. Learn more here. If you missed the meeting, you can watch the live stream here. Many of you have been asking when to submit comments, whether there will be a meeting where BSEACD will discuss the permit, etc. Here is the timeline and procedure that BSEACD's rules lay out in hopefully a more digestible format. BSEACD will send EP notice that its application is administratively complete and a PRELIMINARY decision on the permit on May 21. Then the public will essentially have at most 30 days to comment (EP has 10 days to publish notice and the public comment period and deadline to file a contested case starts once EP publishes notice and lasts for 20 days). The General Manager has 60 days to decide whether to hold a hearing on the application. If someone contests during the 20 day comment period, obviously there will be a hearing, and the timeline depends on whether a SOAH hearing is requested. BSEACD has rules that govern the contested case process under Section 4-9. Rain finally fell in the Hill Country as March has come to a close, and hopefully springs and creeks are flowing with a bit more gusto. 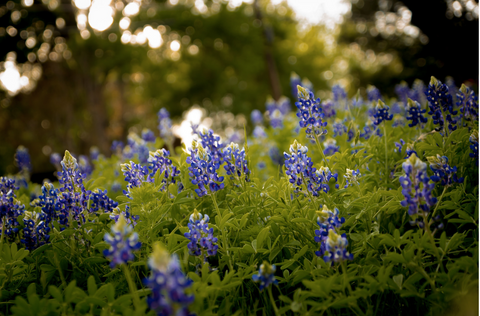 There is absolutely nothing like springtime in the Hill Country, and let's hope that April brings more showers! Please read more for everything TESPA has been up to last month. February is coming to a close, and it has been a busy couple of months at TESPA. Our team of lawyers has been working hard on the Needmore Water contested case and we have been extremely engaged in the creation of the Southwestern Travis County Groundwater Conservation District, which will regulate groundwater production from the Trinity Aquifer. And with Electro Purification's permit application moving forward at BSEACD, it looks like we are going to continue to stay busy. Read below for all the details. It's 2018! The Best is Yet to Come! As we embark on a new year, I would like to thank each and every one of you who has provided the foundation - both financially and spiritually - for TESPA to thrive and grow and to become a force to reckon with in this fight to protect our precious Hill Country groundwater resources. Leonardo DaVinci wrote, "water is the driving force of all nature, " and here in the Texas Hill Country, this rings especially true. Not only is water the driving force in our natural communities, it is the force that is driving us together as well - uniting communities of people who recognize the importance of protecting water and standing behind organizations like TESPA who share this goal. So thank you! Thank YOU for supporting TESPA this past year, and for your continued support in 2018. TESPA plans to keep growing and to keep fighting, and we have some exciting goals for this upcoming year that we look forward to sharing with you. Are you an Aquifer Advocate? A Groundwater Guru? Maybe a Spring Savior? Give to TESPA on #GivingTuesday and you will support TESPA's efforts to protect groundwater resources in the Hill Country. Plus, you now have the option of choosing your membership level, and you can make this a recurring contribution so that TESPA can count on your sustained support. Your contribution enables TESPA to take legal action against large scale groundwater development projects that threaten the Trinity Aquifer, that diminish spring flow, and that will draw down domestic wells in rural areas. Contesting groundwater permits is expensive--your contributions will help TESPA pay attorney fees, court costs, and expert costs. 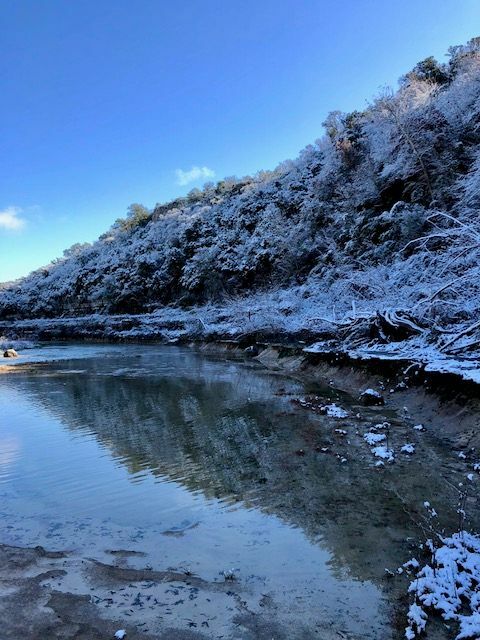 TESPA needs to raise $50,000 to pay for costs associated with the Needmore Water LLC, contested case hearing in March, a proposed groundwater permit application which will threaten groundwater levels near Wimberley and San Marcos. 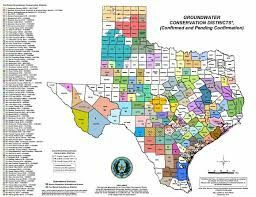 Landowners in Bexar County may be facing an EP like situation despite the fact that a groundwater conservation district - the Trinity Glenrose GCD - exists in Bexar County. This is because Trinity Glenrose's enabling legislation exempts public water supply wells completed before September 1, 2002 from any regulation. Sine Die! The 85th Legislative Session has come to an end. Many bills are awaiting the Governor's signature, but far more died. Although there were numerous groundwater bills filed at the beginning of the 85th Legislative Session, some of which proposed small changes to the state's groundwater laws, and others which attempted to overhaul the entire regulatory structure for groundwater, the vast majority of the bills that were introduced did not pass. Below is an overview of some of the more notable groundwater legislation from the 85th Session. HB 4122 by Representative Kacal - Needmore Ranch's bill that would have allowed a landowner with over 1,000 acres and within the jurisdiction of two more groundwater districts to transfer into one district; died in the Senate thanks to the hard work of the community and local representatives. House Bill 4122 has been scheduled for a hearing before the House Natural Resources Committee THIS Wednesday, April 5th at 10:30 AM or upon adjournment in E2.010. Please come testify AGAINST this bill. TESPA's bill analysis is attached for your information. Back in November, TESPA's Executive Director, Vanessa Puig-Williams was interviewed by Trib + Water about a paper she published in the Texas Water Journal, Regulating Unregulated Groundwater in Texas: How the State Can Conquer this Final Frontier. You can read the interview here. In 2015, TESPA was founded as a result of a threats to an unregulated area of the Trinity Aquifer. The paper discuses the problems that occur when groundwater is not regulated in Texas, highlights issues with groundwater regulation, and offers possible solutions to improve groundwater management across Texas. We hope you find the interview and paper informative! Amplify Austin! 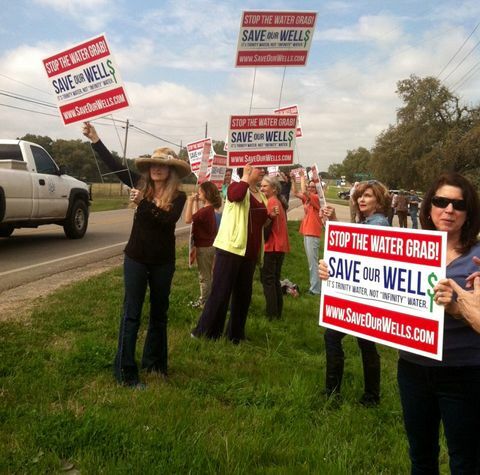 Protect the Trinity Aquifer to Protect Barton Springs! Did you know that in times of drought the Blanco River in Hays County provides flow to Barton Springs? And much of the Blanco's flow comes from the Trinity Aquifer. You can read more about the hydrogeological study here. The Trinity Aquifer is already declining, which means that during times of drought flow at Barton Springs could also decline. More and more groundwater will be pumped from the Trinity Aquifer in the future as groundwater developers have targeted the Trinity as a source of water supply. 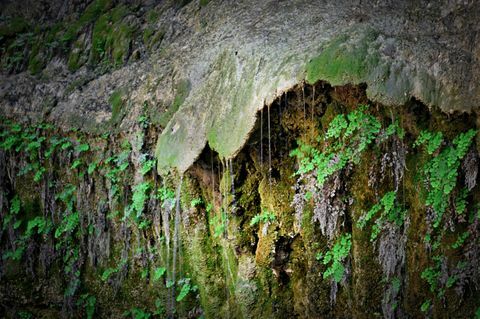 Today, the Trinity Edwards Springs Protection Association (TESPA) filed a protest and contested case request with the Barton Springs Edwards Aquifer Authority (BSEACD) related to Needmore Water's application to pump over 289,000,000 gallons of groundwater a year from the Trinity Aquifer near Wimberley. You can read the contested case request here. 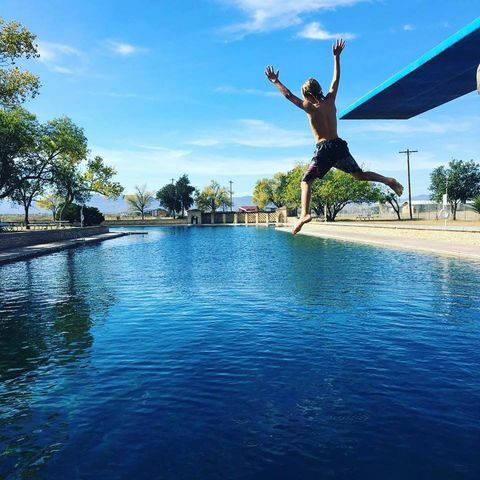 This amount of water would cover the 5,000 acre ranch in about 2 inches of water. It is enough water for 37,542 head of cattle, and is equivalent to 792,000 gallons a day, which would provide for 5,280 households assuming a daily average household usage of 150 gallons a day. During an aquifer test in March 2016, Needmore Water's Hydrogeologist observed 14 feet of drawdown in a monitoring well two miles from the well on Needmore Ranch. And BSEACD has projected that within seven years the monitoring well will experience 140 feet of drawdown. 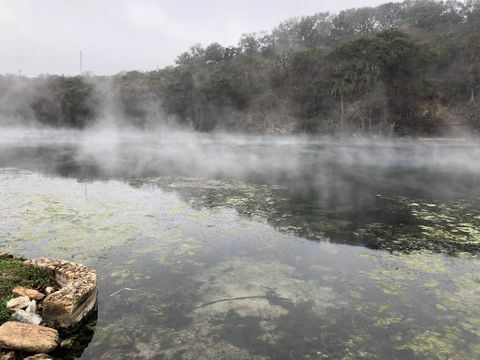 Needmore Ranch, a 5000 acre ranch adjacent to Montesino Ranch in Wimberely, has applied to the Barton Springs Edwards Aquifer Conservation District (BSEACD) for a groundwater production permit for approximately 289,000,000 gallons of groundwater a year. Recently, on November 15, 2016, BSEACD issued a preliminary decision proposing to grant Needmore a production permit for its requested amount— approximately 289,000,000 gallons a year with conditions that require Needmore to reduce pumping based on measured drawdown in a monitoring well. BSEACD hydrogeologists have projected that this amount of pumping will cause a total projected drawdown of the Trinity Aquifer of 140 feet as far as two miles from the well, possibly lowering the water level below the top of the Middle Trinity Aquifer. On September 21, BSEACD approved EP's aquifer test permit. 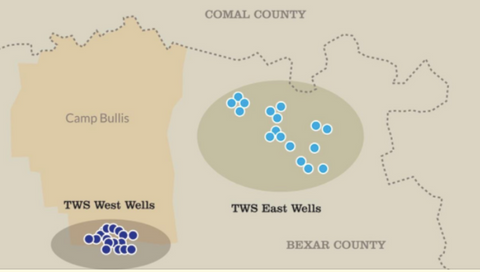 EP will begin testing the week of October 17th and plans to acidize three of its wells. Recognizing that the community has concerns related to the testing, BSEACD will be sending out information next week via their eNews subscription. You can sign up at http://bseacd.org/publications/newsletters/sign-up/ to receive updates. TESPA will also remain in touch with BSEACD staff during the testing. Please contact us if you have any concerns. TESPA will have a table set up at Barton Springs University on Wednesday the 28th. Check out the link below for details. It should be beautiful weather to enjoy a truly fun and educational event. Come learn about how protecting the Trinity Aquifer also means protecting Barton Springs. And stay tuned for photos! Hello friends, supporters and neighbors. 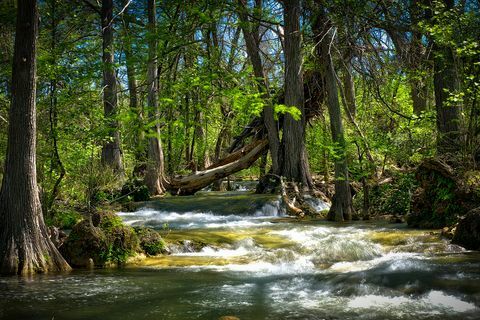 The Trinity Edwards Springs Protection Association (TESPA) was formed two years ago in response to a threat to our groundwater near Rolling Oaks and Wimberley posed by Electro Purification’s (EP’s) groundwater development proposal. We filed suit against that project, and we have worked with the Barton Springs Edwards Aquifer Conservation District to achieve the highest level of regulation possible. And we have been successful in several ways. Today, however, our region is facing more threats to springs, groundwater and surface water than ever before, and TESPA is reorganizing and refocusing to address these threats. We are committed to being a powerful voice for the protection of springs and groundwater of the Hill Country, and we want you to join with us in this effort. And make no mistake about it – we have to work together to help ourselves. HTGCD delays DSWSC hearing until September meeting to give parties time to negotiate. Thank you to all who attended the HTGCD meeting last night. TESPA presented its contested case request to the HTGCD Board. 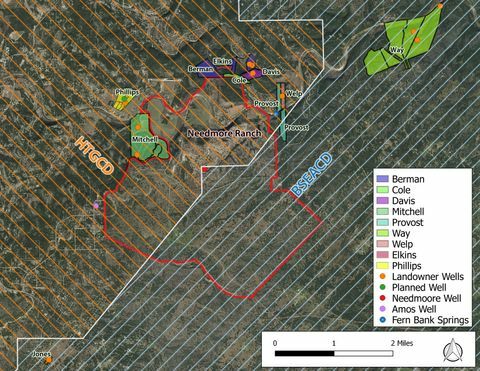 Additionally, DSWSC, represented by Russell Johnson, submitted its own contested case request on the HTGCD staff recommendation to reduce the amount DSWSC requested from 825 acre feet to 399 acre feet (over three years). To give TESPA and DSWSC additional time to possibly negotiate a settlement, the Board agreed to delay action on the DSWSC permit amendment until their next meeting in September. This is good news. TESPA and DSWSC have agreed to negotiate with one another. TESPA is hopeful that the parties can come to an agreement thatTESPA believes will provide increased protection to groundwater and surface water resources than the current, pending permit amendment application. Private drilling threatens public water supply. Rumblings from Hays County are reaching the state Capitol, reverberating over a groundwater well project that opponents say could draw more water from the Trinity Aquifer than all the currently permitted well production in western Hays County. In recent weeks, citizens who get most of their drinking water from the Aquifer bombarded state representatives with calls and emails. It was standing room only March 25 at a House Natural Resources Committee hearing on bills filed by Rep. Jason Isaac, R-Dripping Springs, to stop the project. 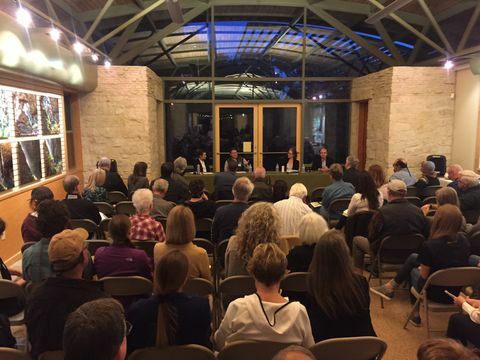 Since early February, community meetings have been packed with concerned citizens, thousands have signed a petition opposing the project, and a Hill Country coalition – the Trinity Edwards Springs Protection Association – has filed a lawsuit to stop the drilling. The recent water wars in Hays County have shifted into the courtroom. 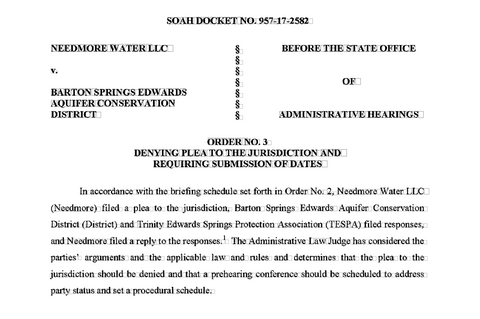 The Trinity Edwards Springs Protection Association (TESPA) filed a lawsuit in the Hays County District Courts March 20 against Electro Purification (EP). The lawsuit was initiated on behalf of residents who live within half a mile of the company’s proposed project, according to court documents. About 60 percent of the water we use in Texas comes from aquifers – natural underground reservoirs that often aren’t easily replenished. In Hays County, a critical question: who has the right to draw from the Trinity Aquifer, how much they can draw and can anyone stop them. With a high-profile groundwater fight raging in his district, state Rep. Jason Isaac is launching a volley of legislation to stop plans to pump huge amounts of water from underneath Hays County. 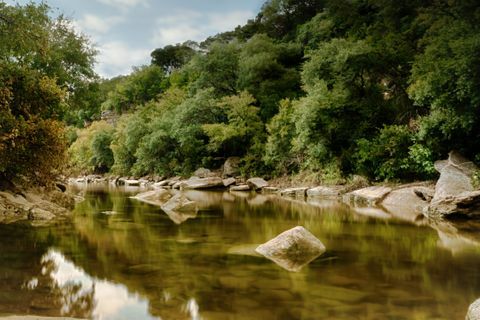 WIMBERLEY — Landowners in small-town Central Texas call it a “water grab,” an exploitation of state rules that would cart away millions of gallons a day and destroy the economic viability of their community.